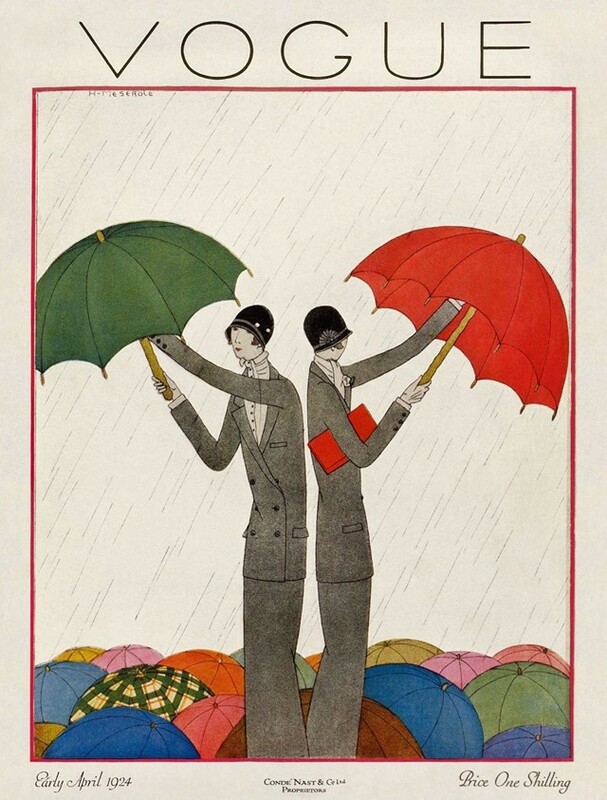 Nearly a century ago, a lesbian couple took the helm of British Vogue, transforming the fledgling magazine into a tour-de-force of fashion, art, literature, and journalism. 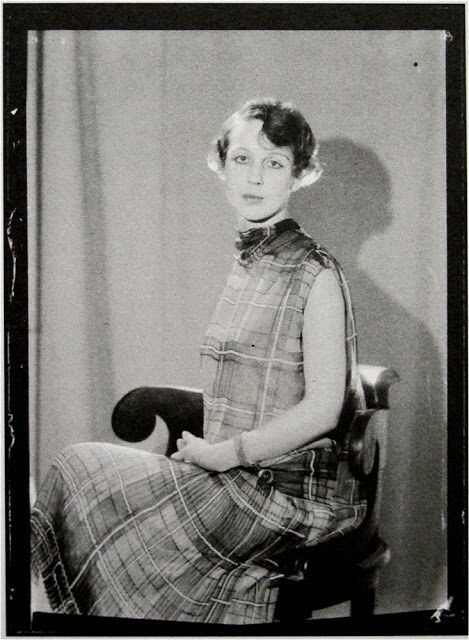 Dorothy Todd and Madge Garland masterminded it all, bringing the most luminous figures of the day into the fold; from Virginia Woolf, Edith Sitwell, and Gertrude Stein to Man Ray, Jean Cocteau, and Le Corbusier, the stellar line up of contributors was unparalleled. In conjunction with LGBT History Month in the UK (as well as the new exhibition Virginia Woolf: An Exhibition Inspired by Her Writings at Tate St Ives) we look back into this little-known chapter of queer fashion history. 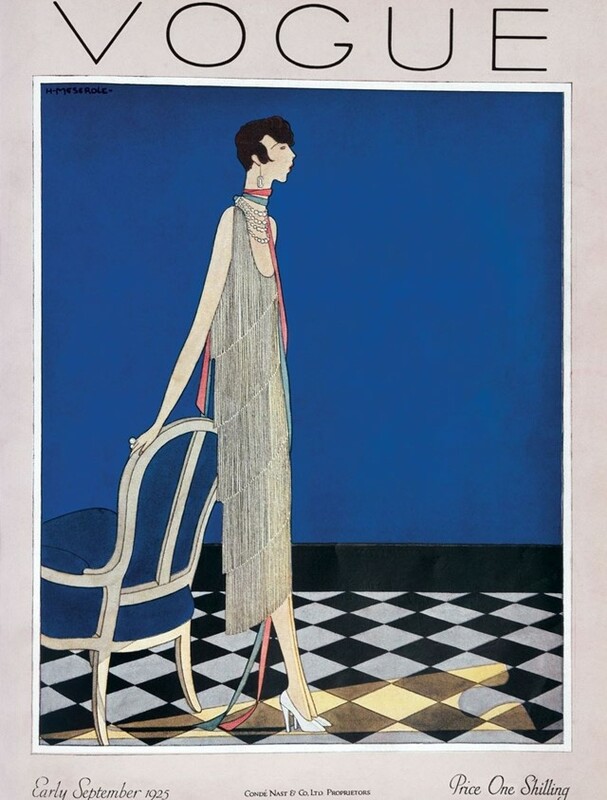 Our story begins in 1923, when Edna Woolman-Chase – Condé Nast’s director of the American, British, German, and French editions of Vogue – appointed Dorothy Todd to the position of Vogue editor in London. Hailing from Kensington, Todd, then 40, was openly gay and fully invested in women’s rights. As a figure in the Modernist movement, she was on a mission to transform Vogue from a fashion magazine into a journal of the avant-garde. 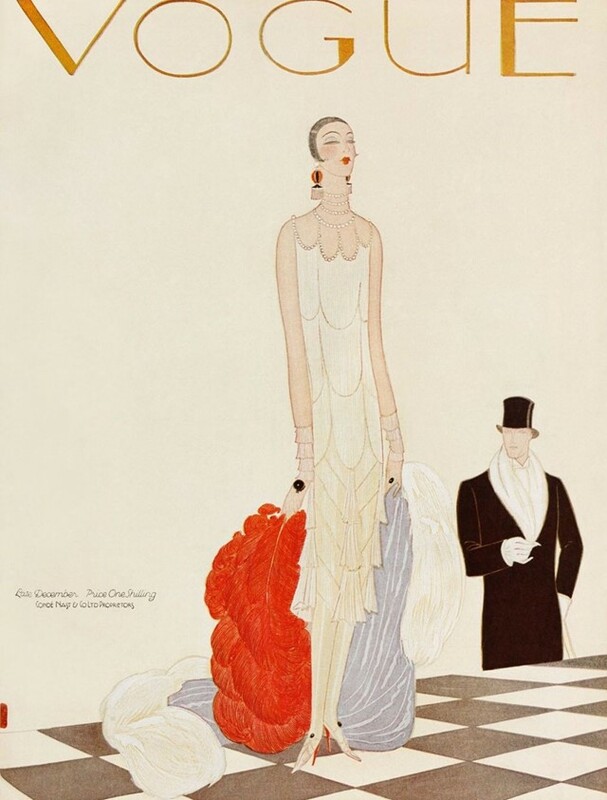 “Vogue has no intention of confining its pages to hats and frocks,” surmised one 1925 issue. Her partner Madge Garland, then 24, hailed from the wealthy McHarg family residing in Melbourne, Australia. Born with a spinal condition that kept her in a steel corset throughout her childhood, her early years were bleak as the “treatment” for her ailment bordered on torturous. This awkward duckling was destined to become a swan, as the passion within her yearned for freedom, excitement, and adventure. Her time as a student at the International School in Paris sparked a profound interest in fashion, literature, and art. But her parents were woefully sexist and refused to let her pursue an education at Cambridge. It was at Vogue that her reinvention began in earnest. Although married to Captain Ewart Garland, she had been using her maiden name, McHarg, until she was informed it was positively “dreadful.” Madge then took her husband’s name, Garland, and kept it after they divorced just one year into the marriage. Bewitched by Garland’s allure, Todd promptly promoted her to fashion director and she became her live-in lover. Their open relationship was well known, going so far as to inspire a parody of T.E. Brown’s poem The Garden, which began, “A Garland is a lovesome thing, Todd wot.” Their partnership also inspired The Tragedy of Fashion, a ballet produced in 1926 by their friend Freddie Ashton – a title entirely too prescient of their affair. Despite the rude remarks, Todd’s appearance did not get in her way as she and Garland revolutionised the magazine, capturing the heights of café society on the printed page. Whether commissioning poems by Gertrude Stein, essays by Virgina Woolf, or articles by writer (and Woolf’s lover) Vita Sackville-West, the editors centered the voices of women in their pages. Garland was also the integral force behind commissioning Man Ray and Jean Cocteau, making Vogue the first magazine to publish their work. In her book, All We Know: Three Lives (Farrar, Straus & Giroux, 2012), Cohen quotes journalist Rebecca West’s observation that the couple transformed Vogue “from just another fashion paper to being the best of fashion papers and a guide to the modern movement in the arts.” Under the couple’s direction, the magazine became a bible of Modernism and the avant-garde, drawing contributions from the scene’s most respected contributors. Their reign lasted a mere four years. Despite the quality of work they produced, the magazine was losing money and their intellectual aesthetic did not mesh with the American sensibilities that ran the publishing house. 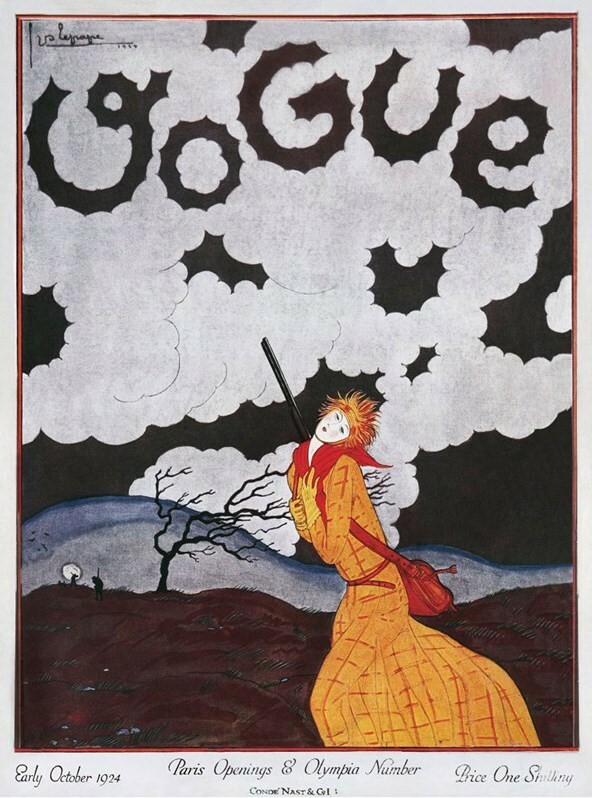 In 1926, Condé Nast himself sacked Todd. When she threatened to sue, he is alleged to have countered with exposure of her “morals.” Beyond having an openly gay relationship, Todd also had an illegitimate daughter, Helen, who she had been raising as her niece; she never revealed who the father was. Their dismissal marked the beginning of the end for Todd, as she rapidly spiraled into dissolution. Her heavy drinking soon turned to alcoholism. 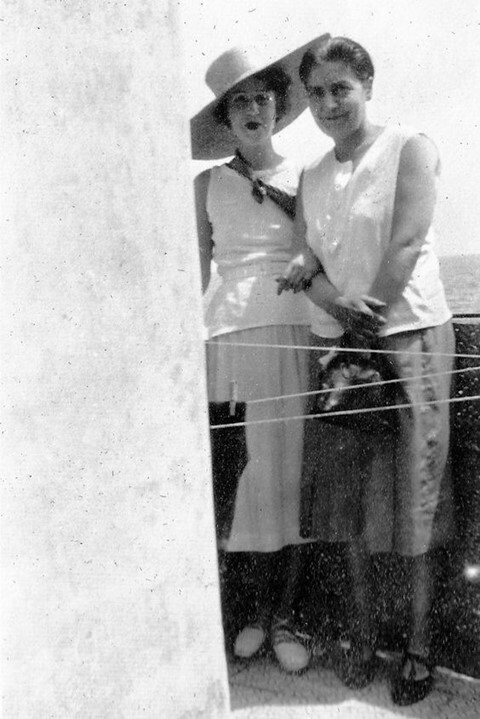 During this dark period in their lives, writer Mercedes de Acosta described Todd as “the bucket in the well of loneliness” – a reference to the seminal, tragic tome of lesbian love published by Radclyffe Hall in 1928, and subsequently put on trial for obscenity. Two years after the firing Woolf came for a visit, only to discover just how far they had sunk. She described the scene as “incredibly louche,” noting, “Todd in spongebag (check) trousers, Garland in pearls and silk; both raddled and on their beam ends.” In other words, they’d certainly been better. Todd had turned against Garland, possibly physically abusing her and running up debts in her name. After the couple broke up, Todd disappeared into the annals of history, dying in 1966, the details of the later years unknown. Garland, however, turned her life around. She moved to France, where she lived in penury and paid off her debts before returning to the scene in 1932 when she was rehired as fashion editor of Vogue, after a stint at Women’s Wear Daily and Illustrated London News. For the next five years, Garland maintained her position, rebuilding her reputation and her life. She traveled to Paris to cover the shows, writing about Lucien Lelong and Jacques Fath while staying at the Ritz and purchasing discounted garments at Chanel and Schiaparelli to garb her mannequin-sized figure. A decade later, in 1948, Garland became the first Professor of Fashion Design at the Royal College of Art. She invented the coursework herself, structuring a framework that has become an integral part of the academy. She fought tooth and nail with the Department of Education in order to bring it to bear. “But I wanted people from the trade – trade was a dreadful word to use in connection with art. So I formed a committee of very high powered people from industry and drew teachers from the trade,” she told The Times in 1972. “I got the trade to serve on the committee and to give bursaries and do competitions and to take students for a period in the vacations to work in their businesses. I tried so hard to marry art and industry – previously there had been no contact, the principals of the art colleges had never been inside a fashion house, they were grey haired and well meaning in those sort of Fairisle smocks." Once again, Garland was a success. During her eight-year tenure, she took the reins, founding the London Fashion Group, which became the British Fashion Council. After she retired in 1956, Garland began the third act of her life, writing five popular books on the history of fashion, costume, and beauty. She married Sir Leigh Ashton, the director of the V&A Museum – until his drinking brought about her second divorce in 1962. Although Garland took women as lovers throughout her life, she never had a relationship of the scale and scope as that she had with Dorothy Todd. Virginia Woolf: An Exhibition Inspired by Her Writings at will be on view at Tate St Ives from February 10 – April 29, 2018.